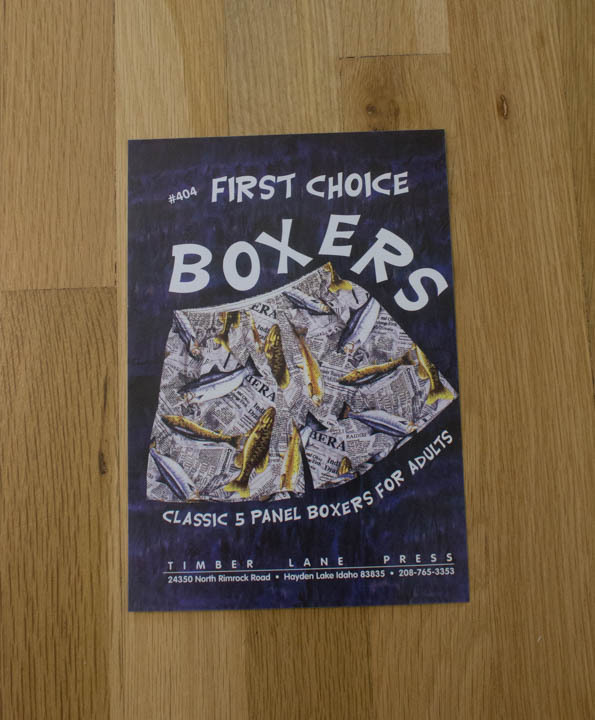 First Choice Boxers: Good Pattern! 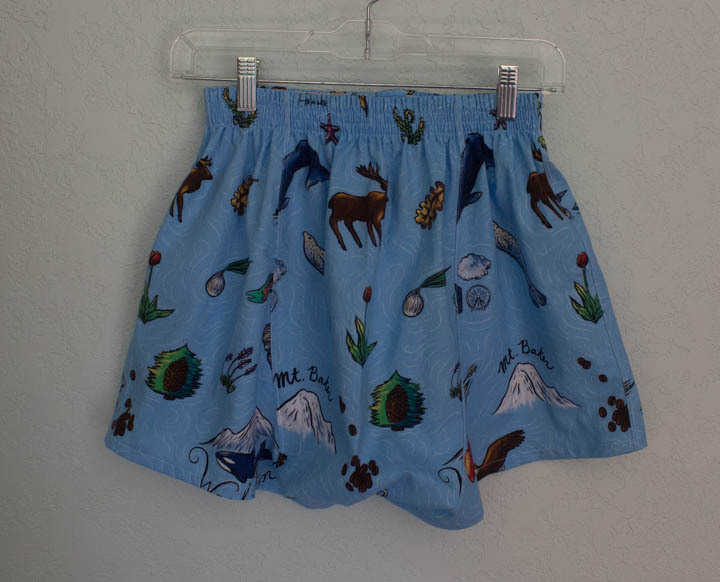 Sewing clothing for guys is fun, even their underwear!! 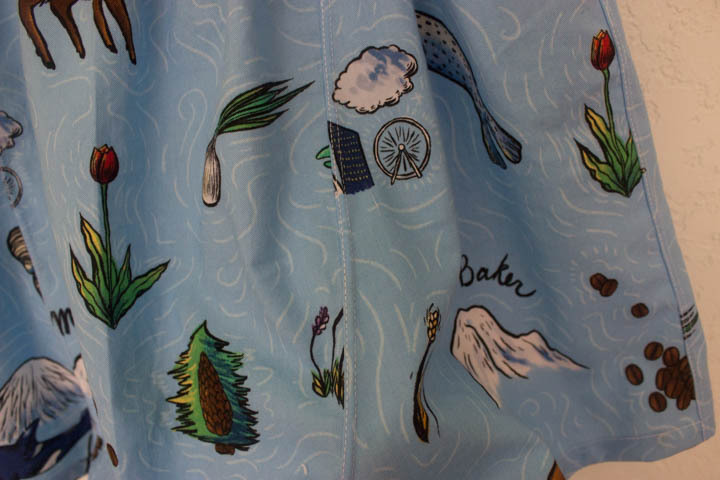 I found this awesome Washington state fabric at Pacific Fabrics, one of my local fabric stores, and I just couldn’t resist making my husband a pair of First Choice boxers. Isn’t it great? Look at all these images of iconic Washington state places, animals, and plants; Mount Baker, eagles, tulips, Walla Walla sweet onions, moose, Mount Rainier, and loads more. Perfect for a guy born, raised, and happily residing in Washington! You could, of course, skip the felled seams and serge them instead, but I thought I would try making this pattern with all the bells and whistles at least one time. No promises for any future pairs tho, as I could totally see banging out a few boxers quickly on my serger assembly-line style. I do like that the waistband comes out very clean and flat, but it is fussy too. Pressing the top edge down. Four rows of stitching on the elastic. No picture of it, but the join of the elastic is covered with a bit of fabric to keep everything flat and nicely finished. Fiddly, but definitely finished well. Fiddly or no, I will definitely make First Choice boxers again for my DH. 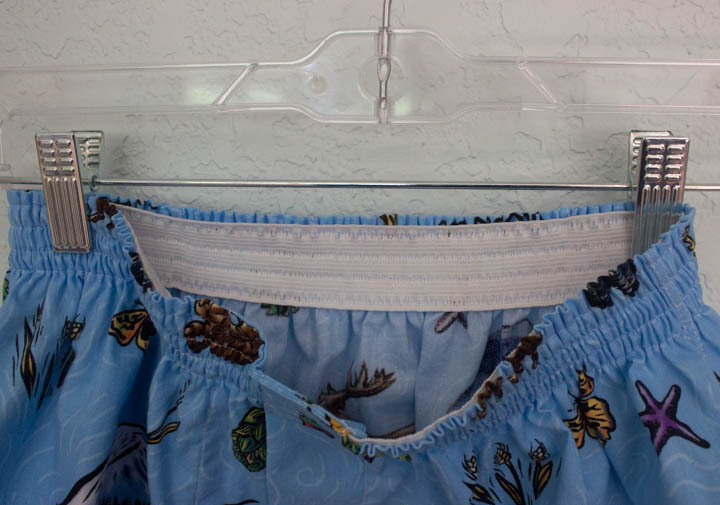 I have quite a few pieces of leftover cotton shirting that will make scrumptious, silky boxers for him, and at the same time help clean out some of my overflowing stash. Win-win! For the next iteration, one thing I do want to work on is the topstitching around the fly. See what I mean? You don’t see this kind of topstitching on RTW boxers. It might involve a pattern drafting change, but I think the right side of the fly looks unprofessional, don’t you? 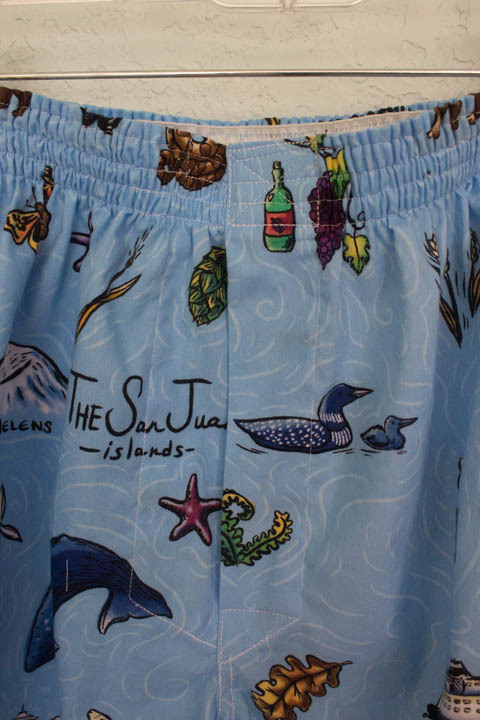 Have you ever sewn boxers? What did you like, or not like, about the process? Do you have a favorite pattern? 8 Responses to First Choice Boxers: Good Pattern! Doesn’t seem like the kind of thing one would want to prove, Kennis! 🙂 Thanks for your kind words! I have been observing my husband lately and he actually does use it! lol. Someone just suggested this pattern to me so I’m doing my research! It looks so cute! I can’t wait to make it for my husband 😀 Hope he will love it. I’ve made many pairs of these for my husband and the kid version for my grandson. I do always think I’m doing something wrong for the fly. I always feel like one side with the top stitching looks off. I ended up closing the fly section because it’s not used in my case. Also, I started using my serger and top stitching that vs. flatfelled seams. It keeps it flat and it’s not as fiddly. The five panels are a real hit.